A. Unfortunately, no. 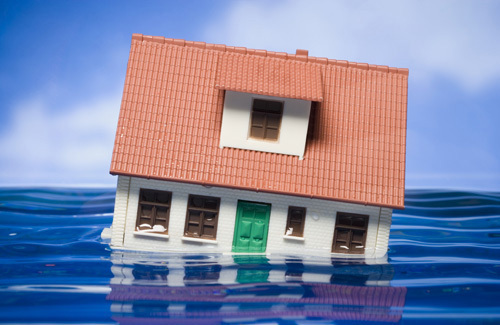 The sad reality is that flood insurance will only pay about 50% of the real cost to restore your home. That means you will have to pay the rest out of pocket. If you don’t have the cash, you will have to borrow it. You may decide to sell the home after the remediation. Q. I can’t afford to repair my home. Should I walk away without doing the remediation and sell it as is? A. The City of Houston, Bellaire, the Villages and many local jurisdictions have adopted the Model Energy Code. This Code adds a lot of extra requirements. A. Yes. If you have a mortgage, your flood insurance company will probably mail you a check (or series of checks) that require both your signature and the mortgage company’s sign-off. Often the mortgage company is slow to cut checks during the work. Contractors cannot wait weeks to get paid as they typically pay their workers every week. You may be asked to pay for work as it progresses and get reimbursed when the check arrives later. A. Unfortunately, the remediation companies do not do a very good job of the re-construction. My company has been called to undo and re-do unacceptably poor workmanship done by the same companies who did the remediation. Try to find a professional residential local remodeling contractor. If you can find one with a national certification in remodeling, your chances of having a good experience are even higher. Use the trade organization web sites listed above, and call contractor’s references before you have the contractor come out to your home. Q. What questions should I ask when I call a contractor’s references?